Vince Camuto Cologne by Vince Camuto, Entice your senses with vince camuto for men by vince camuto. This highly masculine cologne, the design house’s answer to its feminine perfume, blends notes of italian bergamot and mandarin with spicy black pepper. Subtle and intriguing accents of lavender and nutmeg provide a sensuous and enjoyable scent, making it a perfect choice for a night on the town with friends. Introduced in 2012, this fragrance offers a modern and manly aroma that is strong butnever overpowering.All products are original, authentic name brands. We do not sell knockoffs or imitations. DesignerVince Camutohas13perfumes in our fragrance base. Vince Camuto is a new fragrance brand. The earliest edition was created in 2011 and the newest is from 2017. 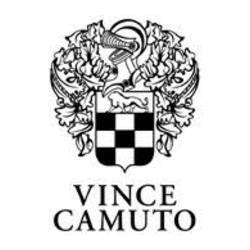 Vince Camuto fragrances were made in collaboration with perfumers Laurent Le Guernec, Steve Demercado, Harry Fremont and Claude Dir.